A good friend of mine who also happens to be a blogger is working on a project for her blog. She asked me to send in a photo and write about what feature I find beautiful in myself. That got me thinking for a while, because I never really get to be asked that kind of question. But without hesitations I sent in my contribution for the article together with a photo that my friend took herself. SMILE. That is what I consider to be my best feature. As I have written in the e-mail I sent my friend, a smile can do wonders. It can bring comfort and can brighten up the gloomiest of days. 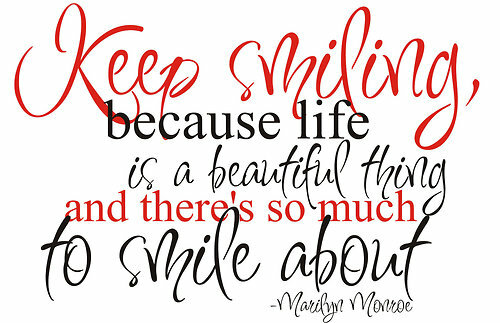 Smiling has gotten me through some tough and difficult situations. I smile even when I am hurting because I don't want the people around me to feel the pain I am going through. I smile when I am nervous because it helps calm my nerves. A smile is a simple act but can be difficult to give away for some. A quote I read says, "A warm smile is the universal language of kindness". So try to smile more often and share the gift of love and kindness towards others. Life can be pretty rough sometimes, but it is not an excuse for us to go around wearing a frown on our face. Go through life with a smile, and you would realize that things are not that bad after all. I can't believe it has been almost two weeks since I started my pre-residency. Time certainly does fly when you are enjoying what you do. Everyday I spend in the ward or at the ER is a learning experience for me. But if there is one important thing I learned this week, I guess that is to "not take things personally". I am constantly surrounded by patients who are depressed, paranoid, manic, agitated and even hostile and violent ones. I am at the receiving end of whatever thoughts and emotions they hold inside of them. I have been cursed and shouted at. I must admit that it scared me at first, but I knew that it was one of the many hazards of my workplace and that I should never let it affect me. In reality, I guess one reason why a person often ends up being miserable is because he allows other peoples opinion to affect him. He takes in whatever insults or negative emotions being thrown at him and eventually consumes him in the end. But if we all learn to be immune to the opinion of others, more so if the intention is to put us down, and not take everything being said against us personally, then the burden lies on the other person and not to us. 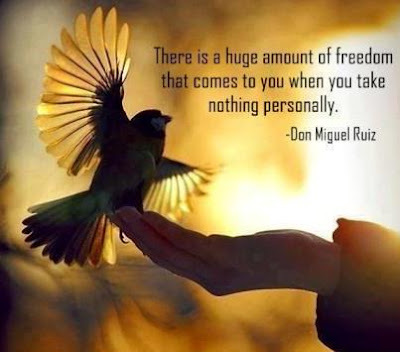 So try not to take things personally, as what Don Miguel Ruiz said, Nothing others people do is because of you. It is because of themselves. "Today is the first day of the rest of my life". That is what I was telling myself as I was staring at the facade of the building which would hopefully be my second home for the next couple of years. It is my first day as a pre-resident. I had that "butterflies in my stomach" kind of feeling as I was on my way to attend the endorsement at the resident's quarters. I felt like a kid on her first day of school. I honestly felt nervous, being in a hospital, things can change in an instant. In a moment everything is peaceful, and then it can suddenly be chaotic. But I would not let my nerves get the best of me. This is the path that I have chosen, and I know that the road will not always be easy. I know there would be tough days, but as they say behind every dark cloud is a silver lining. So I would rather look forward to those good days that are yet to come. 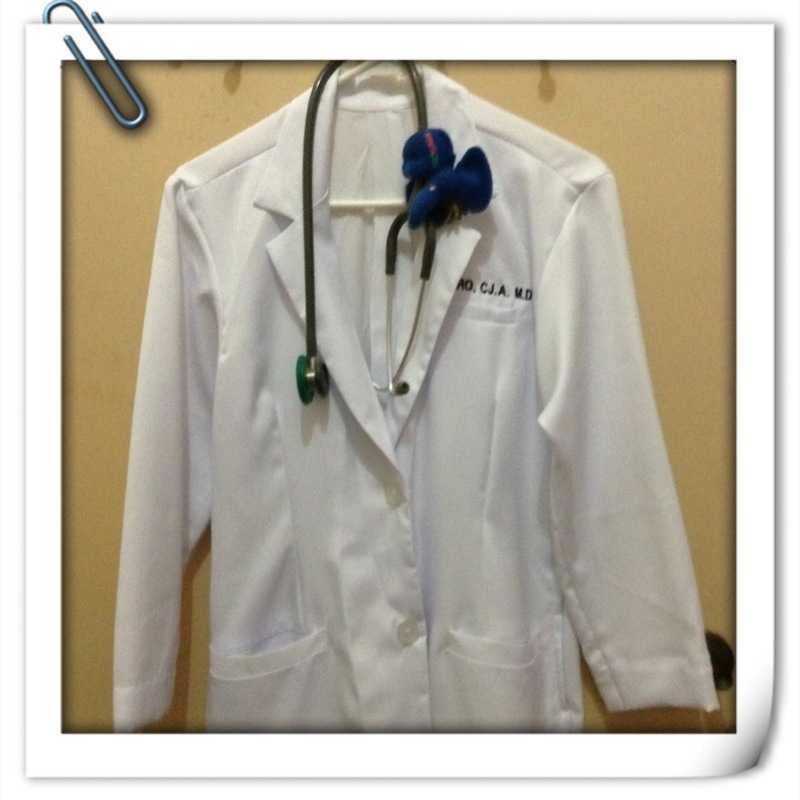 So today, I am welcoming the life of being a resident doctor. I am back to the world of daily endorsements, 24 hours duty, journal reporting, and m&m conferences. I would encounter patients who has for some reasons lost touch with reality and hopefully would try my best to help them live their lives as functional as possible. This is the beginning of my journey to being a psychiatrist, and there is no turning back for me.